There comes a point in your life when you need a new mattress. You’ve had enough family hand-me-downs, college cots, and lumpy futons. You’re ready for real sleep. A Simmons BeautySleep mattress is your entry into the Simmons World of comfort, support, durability, and better sleep for years to come. 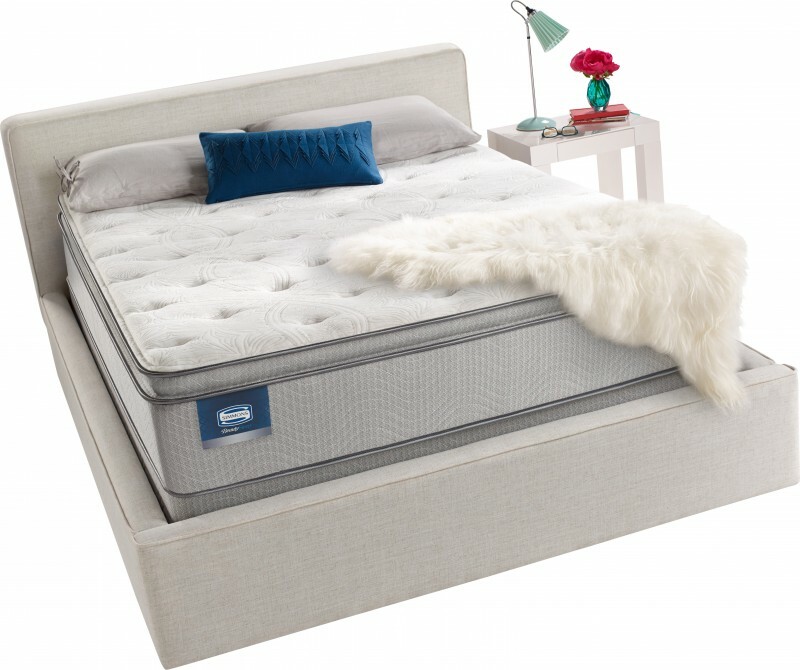 At Mattress World Northwest we are proud to offer an extensive line of BeautySleep mattresses. Come to one of Portland or Salem area stores to test one out for yourself! A soothing texture of SurfaceCool™ Fiber and dual layers of cool-to-the-touch memory foam cradle your body and provide gentle support. SurfaceCool™ Fiber lowers your body to the perfect resting temperature, while AirCool Foam and Comfort Foam contour to your every curve. The contour layer merges with your body and GelTouch Foam and Gel Memory Foam lend quality lumbar support. 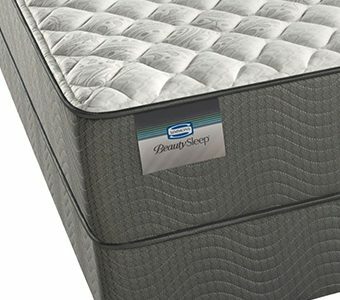 700 Series Coil Technology: Simmons and Beautyrest made the pocketed coil famous. It is the best coil support system on the market for motion separation. The 700 Series Wrapped Coil provides motion separation, and better relief than the standard "Wire-Tie" Coil, and is the coil system that is used in the BeautySleep line. 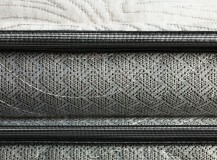 The comfort layer of the BeautySleep series has a number of features that increase the quality of the mattress from your standard wire-tie mattress. 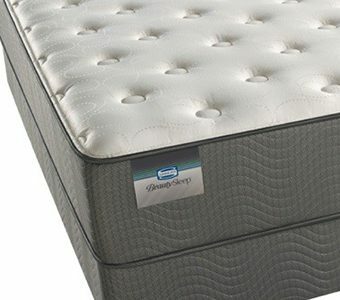 Geltouch Foam: The Simmons BeautySleep mattresses come in three different flavors or comforts: Firm, Plush and Pillowtop. 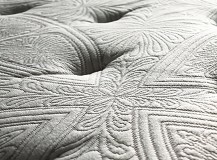 Each mattress uses different types and amounts of foam over the Pocketed Coil to give you these different comfort choices. One piece of foam is used in each of the three mattresses and that’s the Geltouch Foam. This foam is blended with Gel to make the foam cooler and slightly more supportive. 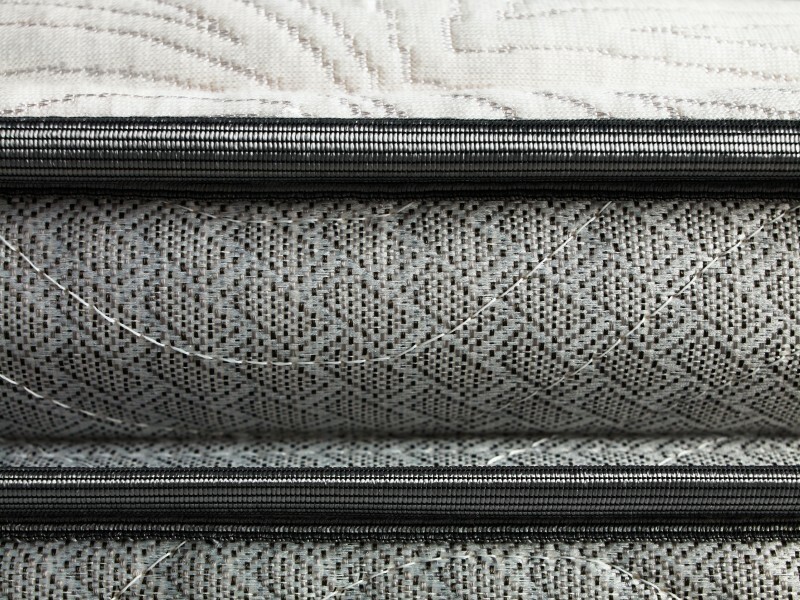 Strecth-knit Fabric: The Simmons BeautySleep series uses a luxurious knit fabric which gives the top of the mattress more flexibility. The Knit fabric is soft, comfortable and is designed to help reduce motion between partners. Foam-Encased Edge Support System: The 700 Series spring system is encased in a heavier foam perimeter. This foam encasement provides a more supportive seating edge and helps maximize the mattresses sleeping surface. Find the Closest Mattress World to You! 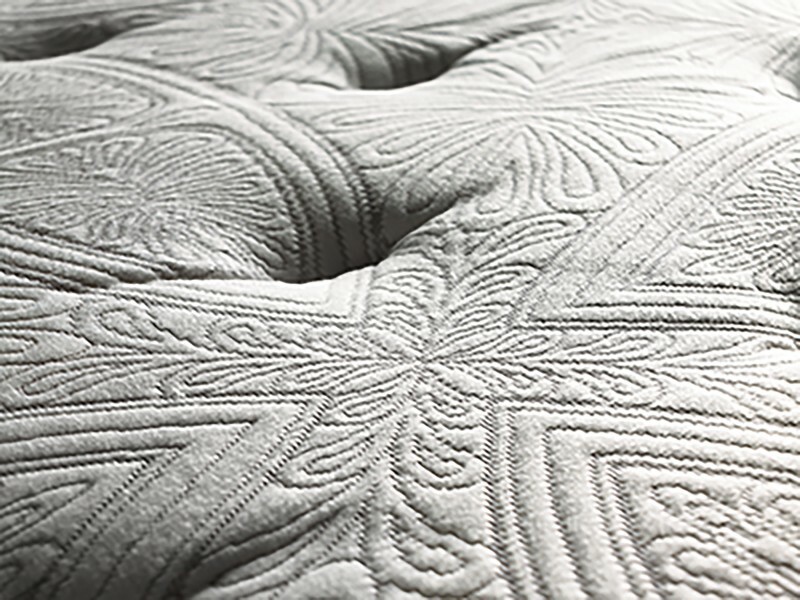 Simmons has spent the last 140 years giving customers the ultimate in mattress innovation and total comfort. 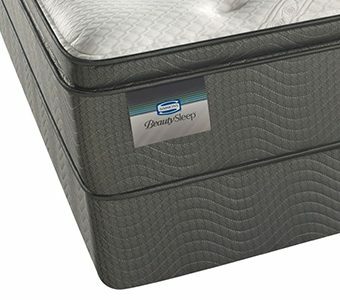 Beautyrest® BeautySleep is designed and built in the U.S.A. Ask us about the label’s 10-year and 3-year warranties which vary by model. 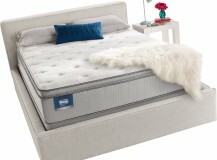 Mattress World Northwest has the largest selection of mattresses in the Northwest including a comprehensive line-up of Simmons BeautySleep Mattresses in Portland. If you have any questions about these products call your nearest store today or come in for a comfort test. When It Comes To Finding The Right Mattress Luis May Be Your Guy - See How Luis Helped Ryan Get The Right Mattress! When She Was Asked About Mattresses This Mom's Reaction Was Priceless!